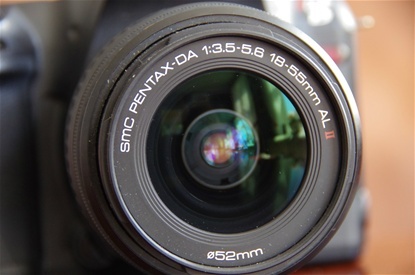 Pentax was a slow starter in the field of Digital SLR. 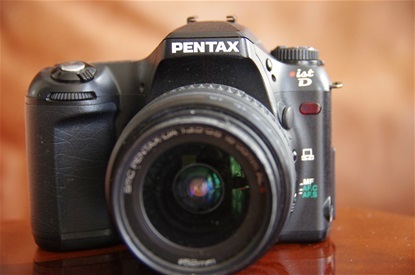 While Kodak started their work in the early 70s and Nikon first, then Canon, cooperated with Kodak in developing cameras through the nineties, Pentax seemed to lack the know how. 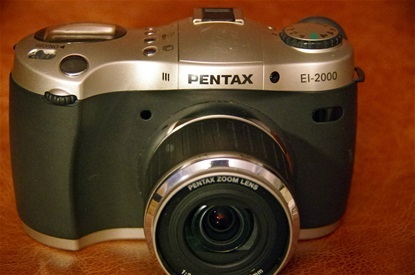 They released a SLR-like camera in cooperation with Hewlet Packard, the EL 2000, in 2001 as a step towards a full DSLR. The EL 2000 of 2001, developed together with Hewlett Packard and sold in both brand names. 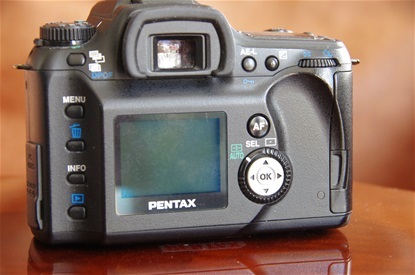 So, in 2003 Pentax was ready to launch their first full digital DSLR: the *ist D.
The *ist D of 2003 had a CCD sensor of 6,1 MB. It was regarded as a very well built camera with superb ergonomics. Size: 129x94,5x60. Weight: 550 grams. Sn: 5773952. A standard kit zoom 18/55. 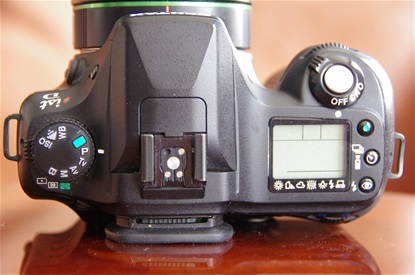 Following the path of the last film cameras, although not the tilted top of the MX-S.
LCD panel of 1,8 inches and 18.ooo pxls.